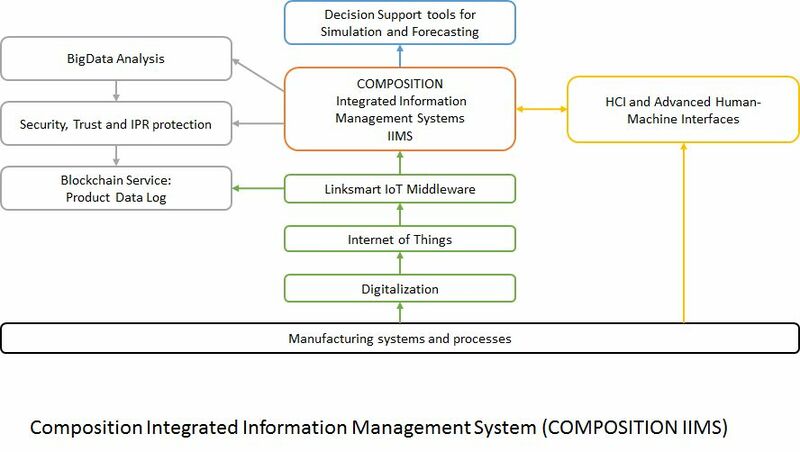 The COMPOSITION IIMS will enable users to search, aggregate, correlate and analyse knowledge, simulate and forecast complex activities across the value chain. 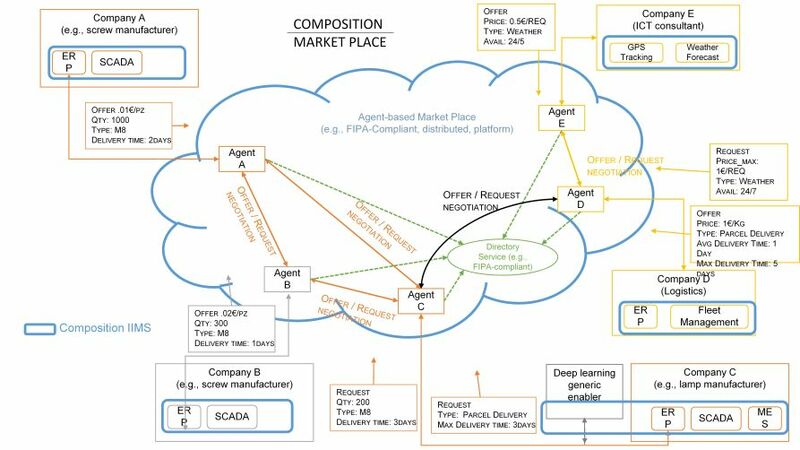 A reference architecture will be developed around digital models of business and production processes and will encompass a set of core multi-disciplinary and multi-domain integrated features such as big data analytics, simulation/forecasting, data fusion, interoperability, advanced human-machine-interaction, Cyber Physical Systems and Internet of Things. The COMPOSITION ecosystem for interoperable factories will connect the IIMS of factories in a virtual market. Agents with sufficient negotiation rights will discover, set-up and coordinate several partners in fulfilling given production needs. The goal is to improve the process of establishing and tailoring supply chains to dynamically changing product lines and open new collaboration opportunities for every involved stakeholder. Security, privacy and data protection by design will be the founding assumptions of the ecosystem in order to guarantee security, confidentiality, integrity and availability of required information for all authorised stakeholders in the supply chain.